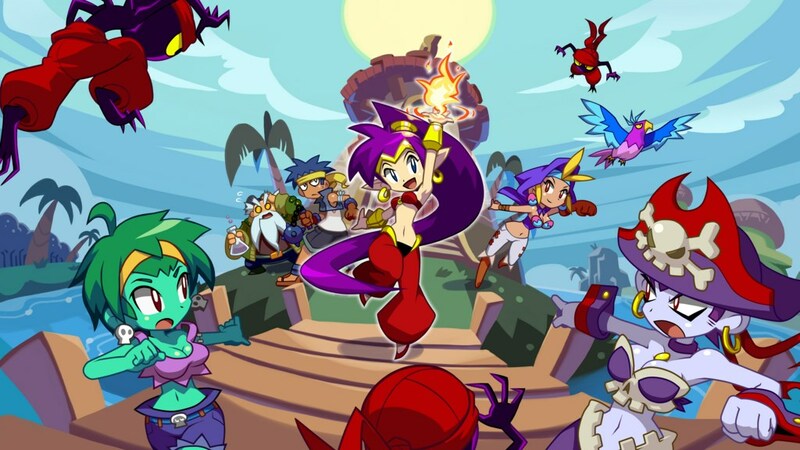 XSEED Games, the independent-minded console publishing brand of Marvelous USA, Inc., today announced that the highly-anticipated, crowdfunded action platformer developed by WayForward, Shantae: Half-Genie Hero, is now available in North America. The PlayStation®4 computer entertainment system and PlayStation®Vita handheld entertainment system versions of the game see retail releases today with the limited “Risky Beats” edition for a suggested retail price of $29.99. The Wii U™ system “Risky Beats” edition will be available on December 27. To celebrate the popular indie series’ first full HD release today, the limited “Risky Beats” retail edition of Shantae: Half-Genie Hero is packaged with a musical selections CD containing 30 songs from the game’s soundtrack. WayForward launched the digital PS4™ system and Wii U versions today on the PlayStation®Store and Nintendo eShop, respectively, for $19.99. XSEED Games has launched the digital “PS Vita” system release, which is now available from the PlayStation®Store, also for $19.99. Following three highly successful releases with Shantae, Shantae: Risky’s Revenge, and Shantae and the Pirate’s Curse,Shantae: Half-Genie Hero reacquaints players with the cast of Shantae in full HD. The magical world of Sequin Land is more vibrant than ever with high-definition graphics that retain the charm of the original 2D hand-drawn sprites the series is known for. Shantae, the spirited young half-genie, must once again defend Scuttle Town as the pirate captain and self-proclaimed Queen of the Seven Seas, Risky Boots, plots to steal a newly discovered limitless source of power. Shantae has previously protected her hometown from all forms of evil including steam-powered pirates, undead evildoers, and militaristic madmen, and is ready to take on Risky Boots with her trademark Hair Whip attack and Belly Dance moves which give her the power to transform into eight different creatures. Non-stop action with immersive 2.5D environments and a new relic system give novice and expert players a uniquely tailored platforming experience. All of Sequin Land becomes a fully explorable world — after conquering massive bosses, the Arcade-style action stages can be revisited to discover new items and secrets based on experience gained. Shantae: Half-Genie Hero is developed by WayForward for PS4™, “PS Vita” and Wii U. XSEED Games has published the “Risky Beats” physical editions, which are packaged with a musical selections CD, for $29.99, as well as the digital “PS Vita” release for $19.99. More information on Shantae: Half-Genie Hero can be found at www.shantaehgh.com. This title has been rated “T for Teen” by the ESRB with the descriptors of Cartoon Violence and Suggestive Themes. Shantae: Half-Genie Hero was funded on Kickstarter with 18, 558 backers pledging nearly 800k to bring the game to life. We also have a review for Shantae: Half-Genie Hero over here!